Why Are Call Centers Taking So Long to Move to the Cloud? Cloud computing has been around for about 15 years now (and even earlier in its conceptual form). Companies like SalesForce and Google pioneered the idea that a network could be stored over the Internet, rather than on-site. Still, in 2014, only 22.5 percent of call centers operate in the cloud, according to a recent survey from Evolve IP. This begs the question: Why does a technology that is easier to manage and less expensive than on-premise software continue to lag in adoption? Here, we’ll shed some light on the issue. Let’s start with the basics. For those who don’t know, cloud-based software companies provide what’s known as Software as a Service, or SaaS. Rather than being installed and managed on site, the software is accessed via the Internet. It is hosted, managed and updated by the outside vendor, not internally. This saves money both in upfront installation fees and long-term management costs. 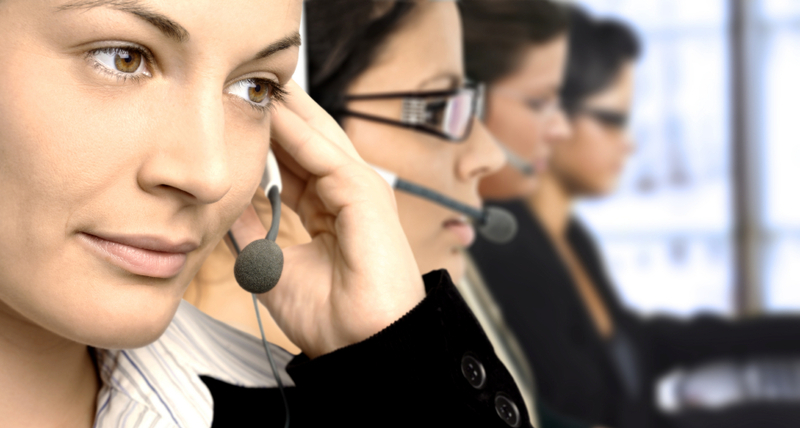 Cloud-based call center software offers the same functionality as its on-premise counterpart. Features include call routing, call prioritizing, predictive dialers, automated answering, third-party calling, CRM software integration, real-time statistics and reporting, live call monitoring, queue management, web scripting and more. There’s no on-site installation and all updates are handled by the vendor, not your in-house IT staff. Cloud-based call center software is far less expensive than on-premise software. Generally, vendors charge a monthly rate of anywhere from $100-$200 per agent per month. Many also require some sort of flat deposit. A complete on-premise software package, on the other hand, can cost tens or hundreds of thousands of dollars. Why Aren’t All Call Centers Moving to the Cloud? If the cloud is so great, you might ask, why aren’t all call centers moving in that direction? The short answer is, they are. Even though less than 25 percent of call centers operate in the cloud now, more than 70 percent of those responding to the 2014 Evolve Survey said they’re planning to move to the cloud within 18 months. That’s 70 percent of the 77.5 percent who currently have on-premise systems – the overwhelming majority. That’s good news for companies like us, but why has it taken so long? Well, security concerns have been one barrier. Many companies were nervous that cloud-based software, because it’s hosted off-site, presented a security risk. Loss of control was another roadblock. Companies have long been used to software that is managed in-house by their IT staff, so they feared the unknown. The tide is turning largely because cloud-based software has hit the mainstream – in a major way. The industry is expected to top $22 billion by the end of 2015, up from just $14 billion in 2012, according to a Gartner report. The report cited increasing familiarity with the technology and increased oversight on IT budgets, among other things, as the drivers of growth. In addition to cost savings and ease of management, cloud-based call center software is growing in popularity because of its scalability. Buy licenses for exactly the number of agents you have, then increase or decrease that number with one phone call when staffing levels change. On-premise systems must be built to factor in growth; otherwise, expansion is difficult and expensive. Cloud-based call center software also offers flexibility. Agents don’t have to be in the office – they can work from home. This allows companies to decrease the size of their call centers, reduce overhead and recruit talented employees from other regions of the country. Technology is rapidly changing the political game. Traditional methods of reaching voters, from radio and TV to direct mail, don’t resonate as well in the digital age. This is particularly true with young voters. That’s not to say that traditional mediums are dead. Live TV, for example, isn’t going anywhere fast because it still reaches some 70 percent of Americans, according to a poll from Public Opinion Strategies. 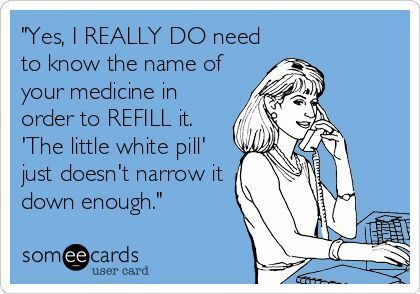 But traditional methods are no longer enough. They have to be part of a comprehensive strategy that includes the latest advancements in technology, from software to mobile apps. There are countless new technologies available to political campaigns – way too many to list here. So we’re going to focus on three that produce a lot of bang for the buck: digital reporting apps, cloud-based calling software and social media monitoring. These technologies will help streamline your campaign and secure votes without putting a big dent in the budget. Digital reporting apps provide campaign managers with real-time information about what their staffers and volunteers are doing in the field, and what kind of feedback and results they’re getting. The information is useful not only in tracking campaign workers, but in shaping the campaign message and addressing issues that come up in conversations with voters. These apps track campaign workers and volunteers in the field via GPS on their mobile devices. The campaign worker inputs information such as the name, age and party of the voter, as well as information about how the person answered survey questions and how they’re feeling about the candidate. Digital reporting apps stand to eventually replace paper logs, which are time consuming and don’t always get analyzed in a timely fashion. Campaign managers have real-time access to exactly what’s going on in the field so they can get ahead of issues and adjust campaign strategy on the go. Political campaign offices have long used call center software to manage their inbound and outbound calling. But traditional on-premise calling software (and the hardware required to go with it) is not only expensive and labor intensive; it’s outdated. With cloud-based call center software, political campaigns have access to all the calling features they need, from predictive dialers, call routing and automated answering to real-time statistics and reporting, for as little as $100-$200 per user per month. The calling software is managed by a third-party provider from an off-site location, so there’s no expensive equipment to buy, update or manage. Your IT manager is free to focus on other technology initiatives. By now, almost every campaign has figured out how to use social media to reach voters. That’s nothing new. However, while most campaigns are adept at using social media to spread messages, fewer have mastered something equally important: using social media to listen to what voters are saying. Social media monitoring tools are widely used by businesses to track what customers are saying about the brand (and respond to those statements), gain a better understanding of brand image and shape future marketing strategies. 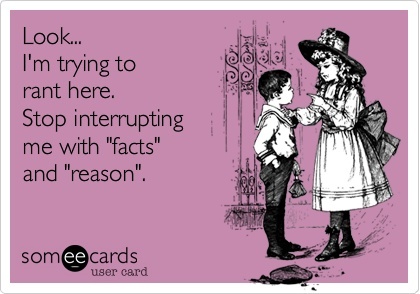 The same can be applied to political campaigns. If a false rumor about your candidate is spreading on Twitter, you need to know about it and address it. There are free tools like HootSuite and Social Mention, which are appropriate for small political campaigns or beginners. Enterprise-levels tools, which can cost hundreds or thousands per month, are a better pick for national campaigns because they provide much more in-depth analysis and reporting. 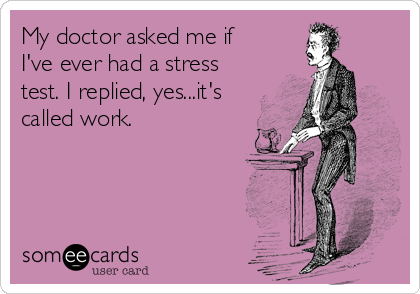 Few things in life are completely stress free, particularly when it comes to the work environment. 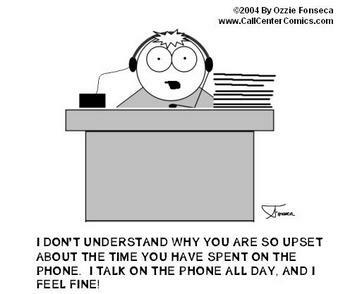 But reducing stress in call centers is key to the health of your employees and the health of your business. 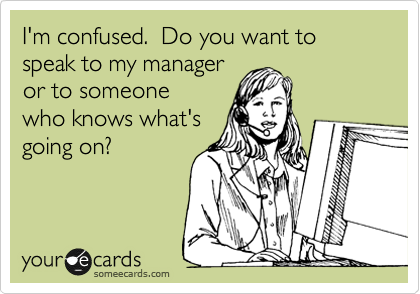 It’s hard to deal with stress in call centers unless you know how stressed your employees actually are. Assess the situation by talking to agents, walking the floor and conducting periodic surveys. You’ll have a better handle on how employees are feeling, and they’ll appreciate that you cared enough to find out. Your agents need the tools and knowledge to properly manage stressful situations, whether we’re talking about an irate customer, a long work day or technical issues. Training and support can come in many forms, whether it’s a formal training program from an outside stress-management specialist or regular team meanings to discuss stressful situations that arise and how to address them. Sometimes just a five minute walk around the building or a coffee break is all it takes for an employee to de-stress and refresh. Some employers are stingy with breaks to improve efficiency without realizing that they’re contributing to stress in call centers – which can cause inefficiency. Offer a quick break from the desk every couple hours. Stress in call centers is often exacerbated by low pay rates. Employees wonder, “Why am I dealing with all this stress for $10 an hour?” Even if you can’t offer raises, reward valuable employees with incentives such as gift cards, extra vacation time, a free lunch or small bonuses. The small amount of money you invest will pay off in increased work satisfaction, decreased stress and better customer service. Go the extra mile from time to time by planning something fun for your call center employees. Maybe it’s an after-shift pizza party or a weekend paintball tournament. Small gestures go a long way toward reducing stress in call centers. Too many call center leaders fail to set clear expectations for their employees. This leads to stress in call centers, particularly when employees are disciplined for violating policies that have never been discussed or failing to meet unnamed benchmarks. 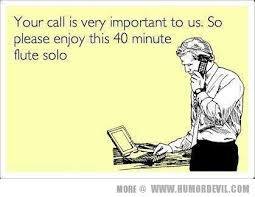 Make sure to set clear expectations for call center employees from day one. What’s more frustrating than technology that doesn’t work as it’s supposed to? Add the frustration of working in a tough environment, and that’s a breeding ground for stress in call centers. Encourage employees to report any technical issues or difficulties they’re experience, and take steps to improve their experience. Environment has a big impact on attitude. Cramped spaces, uncomfortable seats and ugly decor has an impact on stress in call centers, believe it or not. Maybe a full renovation is not in the budget, but do what you can to provide employees with a comfortable workspace that feels a little less like corporate drudgery and more like home. It could be as simple as changing the paint color and bringing in a few plants. 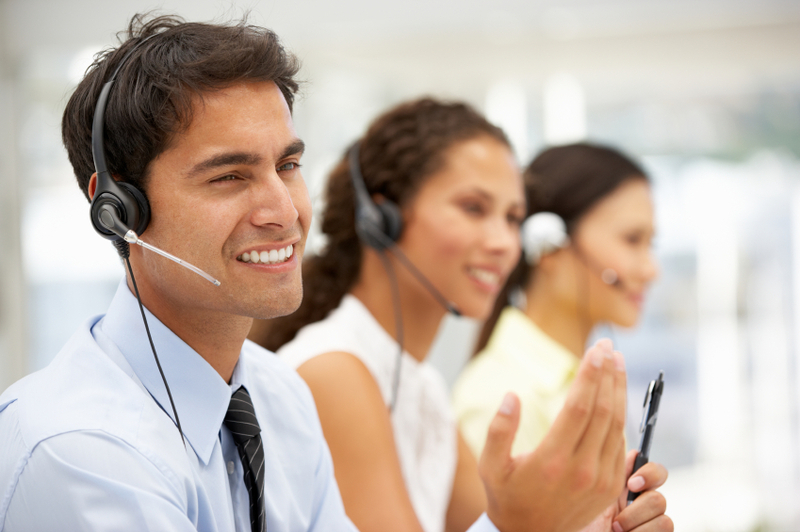 The customer experience is directly related to the quality of your call center software. Think about what happens when IVR routes customers to the wrong department or an agent can’t pull up customer information to resolve a billing issue. 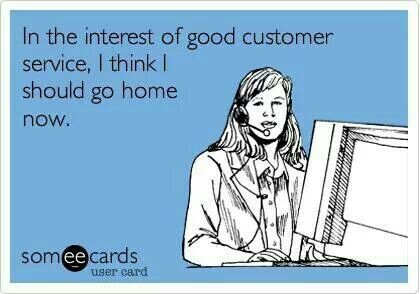 Customers feel frustrated at best. At worst, they write off your company entirely. Purchasing call center software is a major decision, and it’s one that should be supported by a significant amount of research and analysis. Here, we’ll provide a step-by-step guide on how to compare products and end up with the right software. This is the first important decision: Do you want premise-based software that is installed locally and managed by in-house IT staff, or do you prefer hosted call center software (also called cloud-based software) that is managed by a third-party vendor? We’ve blogged in the past about the pros and cons of on-premise vs. hosted call center software, but we’ll do a quick recap here. On-premise systems are attractive to companies who prefer to have in-house control of their software and data. Historically, companies with a robust IT staff and/or very sensitive data have opted for on-premise software; however, attitudes are changing as companies recognize the flexibility and mobility that cloud-based software provides. Hosted call center software is more flexible and scalable. Pay for only the number of agents you have. Hosted call center software is billed on a monthly, per-agent basis, and few if any upfront expenses are required. Hosted call center software also allows employees to work remotely. We sell hosted call center software, of course, and we do so because we think it’s the best option. But we recognize that every company has unique needs and should make its purchasing decisions based on those needs. Don’t take our word for it – we always recommend doing outside research on the pros and cons before making a choice. Talk to other call center leaders about the software they’ve selected. Are they happy with the vendor? Why or why not? What features have worked well and which are problematic or less than desirable? 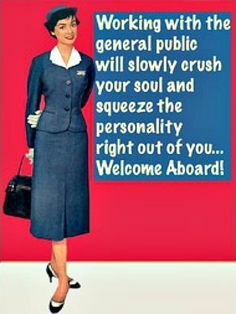 Make sure the software is user friendly. Always request a live demo of any software that you’re considering. A great salesperson can make the product sound perfect, but there’s no way to know for sure until you test it out. Request quotes from multiple vendors to compare prices. Pricing shouldn’t be your only consideration, but it’s an important consideration. Comparing quotes ensures that you’re not overpaying for the same set of features that cost less elsewhere. Always find out exactly what the quoted price includes. Some vendors, including hosted call center software vendors, advertise a low upfront rate but charge extra for important features such as call monitoring or predictive dialers. Don’t be fooled by a low upfront price that comes with hidden fees. Always ask about the availability of customer support staff. What happens if your system goes down during the third shift? Are agents available 24/7? What are the average hold times to reach customer support? It bears repeatings that purchasing call center software should never be a spur-of-the-moment decision. Take the time to carefully consider your needs and the available options before committing to a vendor. Patience pays off. Reaching voters and donors efficiently is key to the success of any political campaign, whether it’s national or local. Winning the race requires the right technology, not just the right people. Campaign managers and IT staffers are increasingly turning to cloud-based call center software to reach voters and donors. The benefit of cloud-based calling software, as opposed to on-premise or hybrid products, is twofold: affordability and flexibility. Cloud-based software offers the same functionality for a much lower price, and your staffers and volunteers are not chained to a desk – they can make and receive calls from any location, whether at home or on the road. Cloud-based calling software is also well-suited to the temporary nature of political campaigns. Cloud-based providers do all the hosting for you, so there’s no permanent and expensive hardware to buy. Get the licenses you need for the span of the campaign and then cancel them after. 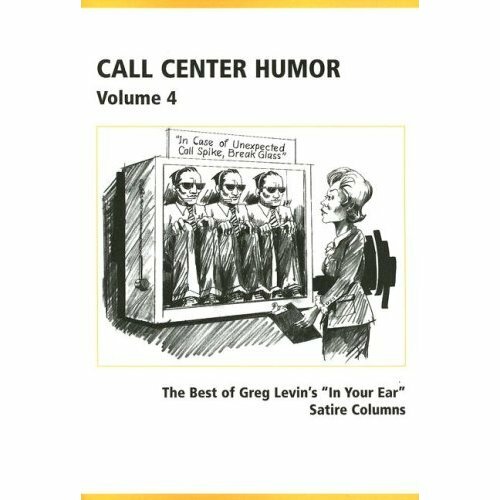 How Will Call Center Software Improve My Political Campaign? 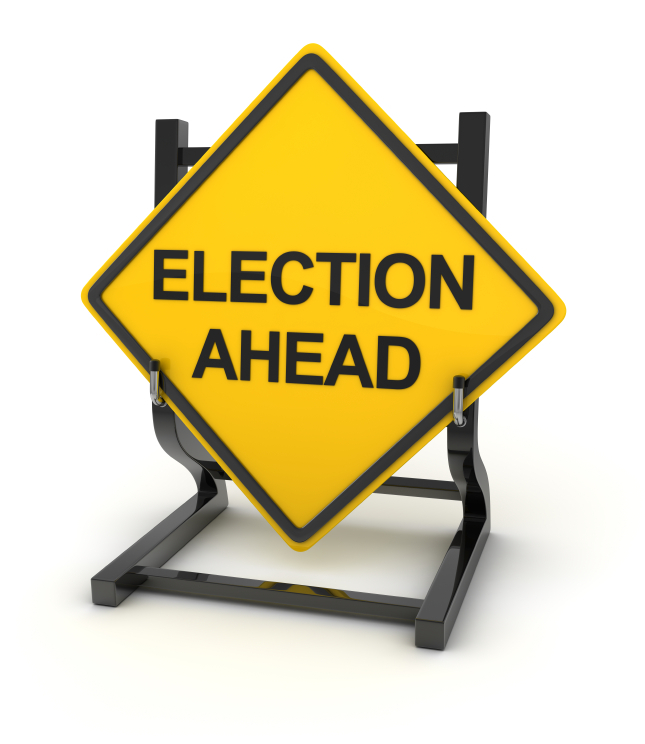 Call center software streamlines a political campaign’s inbound and outbound calling. For outbound calls, the software is used to reach voters for surveys, donations, “get out and vote” messages, legislation updates and more. For inbound calls, it is used for effective call routing, automated answering and prioritizing calls, among other things. Features of call center software products include interactive voice response, auto attendant, predictive dialers, third-party calling, CRM software integration, real-time statistics and reporting, web scripting, live call monitoring and queue management. These are features that increase the efficiency of your inbound and outbound calling, make your campaign professional and organized, and provide valuable data that can be used to improve the caller’s experience. Cloud-based software, on-premise software and hybrid versions all offer these features. However, the difference lies in what type of equipment must be purchased, the cost and how the software is managed. Cloud-based versions require no on-site installation because the provider manages the software from a remote location. Updates are automatic, so your IT staff is free to focus on other tasks. With on-premise software, hardware and software must be purchased, then installed and managed on site. In addition to cost and flexibility, cloud-based call center software appeals to the mobile nature of campaigns. Staffers and volunteers don’t have to work from the campaign office – they can access the system at home or on the road as long as an Internet connection is available. There are many call center software providers from which to choose, and we never discourage political campaigns from shopping around and comparing features before choosing one. But we do think our product has some distinct advantages. Pricing is fixed at $125 a month per user with a flat deposit of $125 per user. This eliminates the financial uncertainty that comes with cloud-based providers who charge per-minute or per-hour rates. If you’re using five volunteers, the monthly bill is always going to be $625 – never more. Further reducing costs, licenses can be shared by volunteers or staff members who work different hours. Kunnect’s software eliminates the need to buy hardware such as handset telephones. The technology works with that traditional hardware, of course, but, at a minimum, all that’s needed is a computer and a cell phone or headset. Inbound and outbound calls can be routed through cell phones or a headset connected to a computer, and the software can be accessed at home or on the road via laptops. Our software, hosted in the Amazon cloud, can be activated in minutes, so if you need it today you can have it. There’s no waiting. The software can also be scaled up or down to meet the changing needs of the campaign. Pay for only the number of licenses that you’re using at a given time. Why Should I Choose 100% Cloud-Based Call Center Software? There was a time when businesses were anxious about the idea of switching to cloud-based call center software. Perhaps they were afraid of the unknown or handing over control to an outside company. But sentiments have changed. We’ve blogged about these stats a couple times before, but they bear repeating here: In 2008, only 2.2 percent of call centers used cloud-based software, according to DMG Consulting. By September of 2013, some 62 percent of call centers operated at least partially in the cloud. By 2015, almost no call center will be cloudless. Some companies continue to operate cautiously, opting for a hybrid solution that combines on-premise and cloud-based software. But there are distinct benefits to going 100 percent cloudless, including a reduction in call center costs. Now that call centers leaders are realizing the benefits of the cloud, 100 percent cloud-based software is poised to be the next frontier. With 100 percent cloud-based software, you can easily scale the system up or down as needed. Need 100 new licenses? The provider says, “OK, do you need these today?” There’s no hardware to install and no waiting period. On the flip side, you can quickly decrease the number of licenses if there’s a staffing reduction. With traditional on-premise software or hybrid products, the process is more involved. You’ll have to contact the software provider for additional licenses and the telephone provider for additional phone lines. The process could take weeks, and it will have a much greater impact on your call center costs. With cloud-based call center software, you’re not responsible for managing hardware or software; all of that is handled by the vendor. Upgrades happen automatically, freeing your IT staff to focus on more important issues. 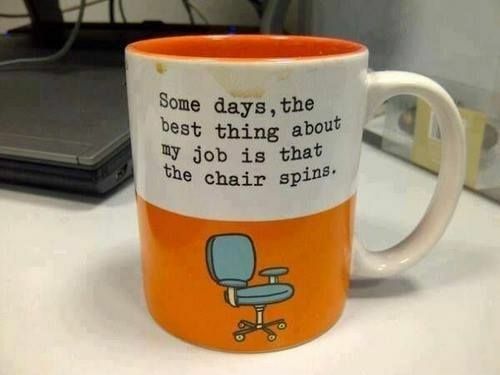 In life, redundancy is boring. When it comes to call center software, redundancy is a blessing. With 100-percent cloud-based software, your data is stored securely with off-site and redundant servers. If your local server goes down, there are backups in place that will keep you working. Cloud-based software also allows agents to work remotely or from home – they don’t need to be in a central office connected to a traditional hard-wired line. This keeps staff in satellite locations connected, and it cuts call center costs by reducing overhead. Cloud-based software can also keep you working in the event of a power outage or natural disaster. When Hurricane Sandy struck the Atlantic coast in 2012, devastating parts of New York and New Jersey, call centers that lost power were out of luck if they relied on premise-based or hybrid software. Without power, phone lines were down. Call centers that used 100 percent cloud-based software, on the other hand, could allow employees to work from home as long as they had a working internet connection. For those companies, the disaster had less of an impact on customer service, call center costs and the customer experience. 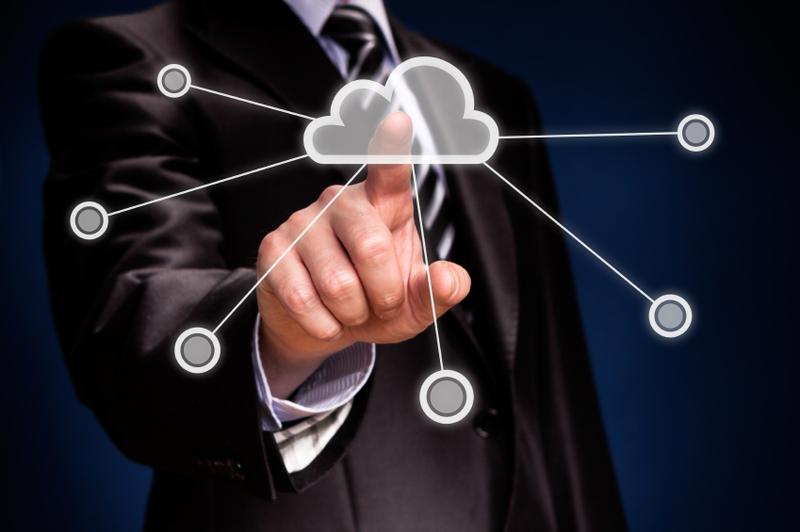 We touched on this above, but 100 percent cloud-based software reduces your call center costs. The upfront costs are few because there’s no expensive hardware to buy. Pay for only the number of licenses you need – no more. Also, many providers charge a flat monthly fee for each license, which keeps call center costs predictable. At Kunnect, our 100 percent cloud-based call center software costs $125 per agent per month with a flat deposit of $125 per agent. We believe in being straightforward about call center costs, so there are never hidden fees.